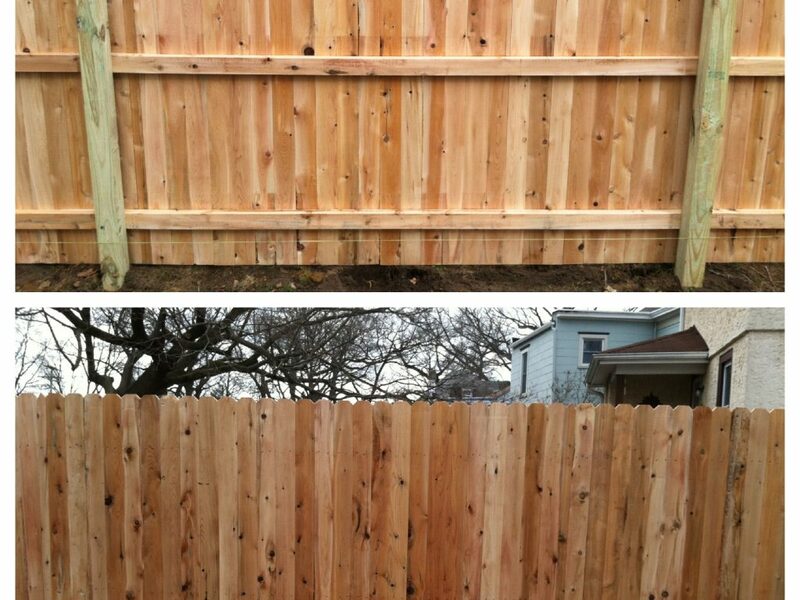 Add-A-Link Fence Company designs, manufactures and installs hundreds of fences each year. 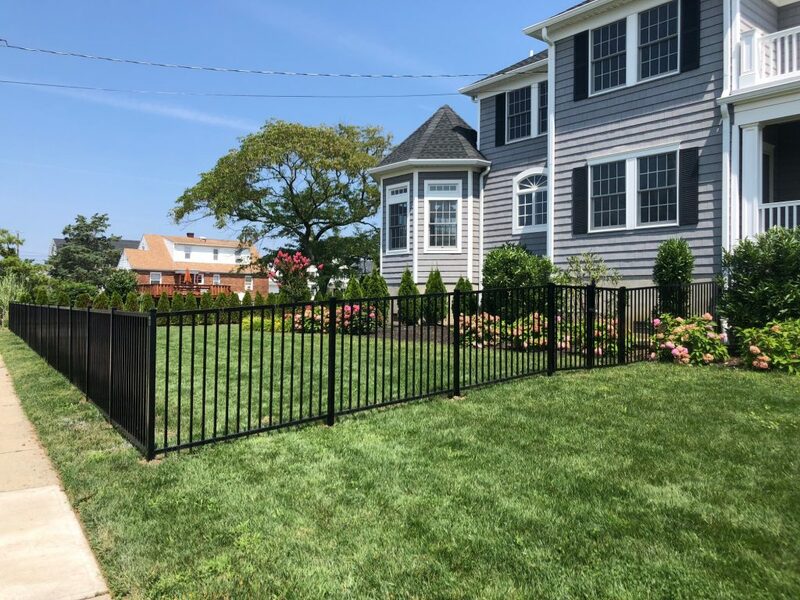 Serving Central New Jersey (Monmouth County, Ocean County and Middlesex County), Add-A-Link Fence Company has installed and serviced nearly every type of fence project imaginable over our 40 years of existence. 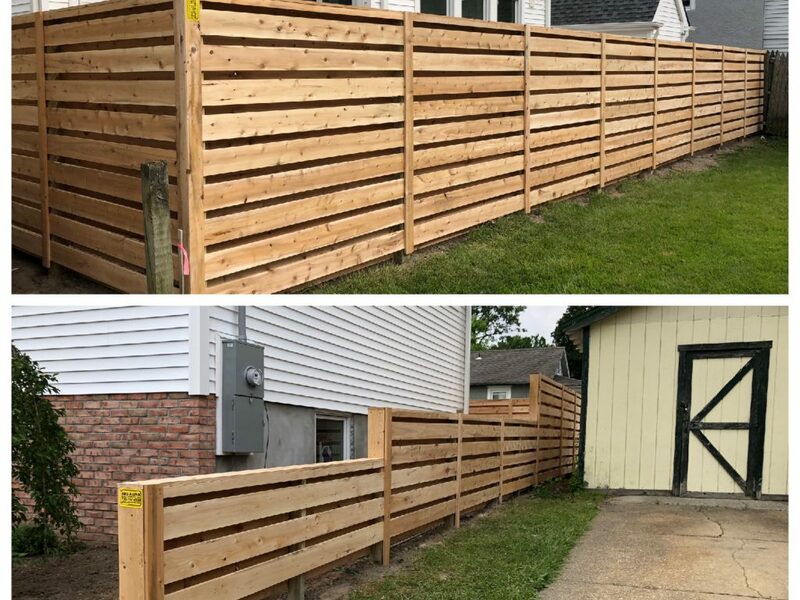 Some of our most recent projects are shown below. 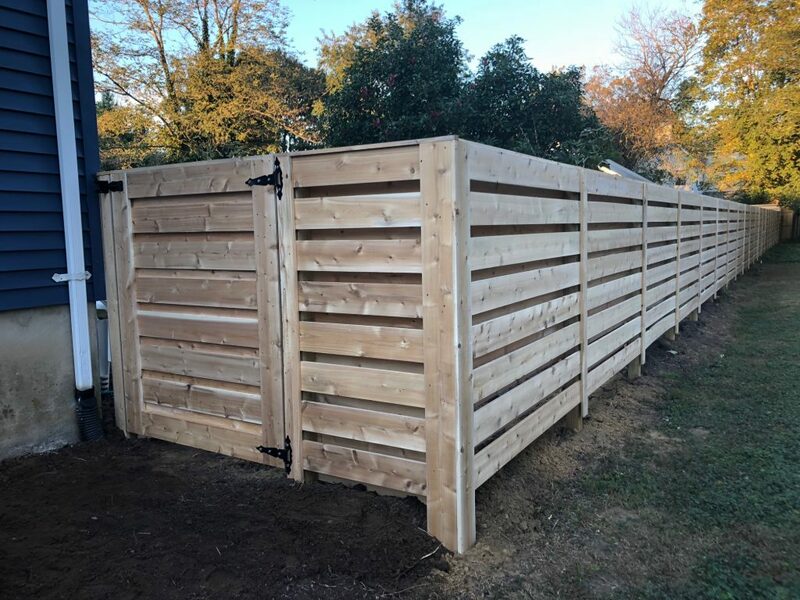 Please contact Add-A-Link Fence Company to discuss your unique fence need today. 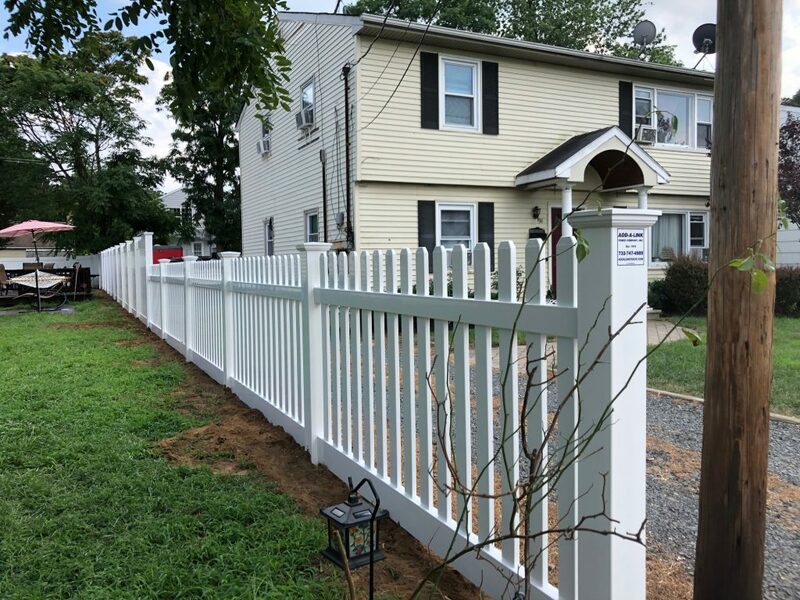 Pictured above is a white PVC picket and solid fence. 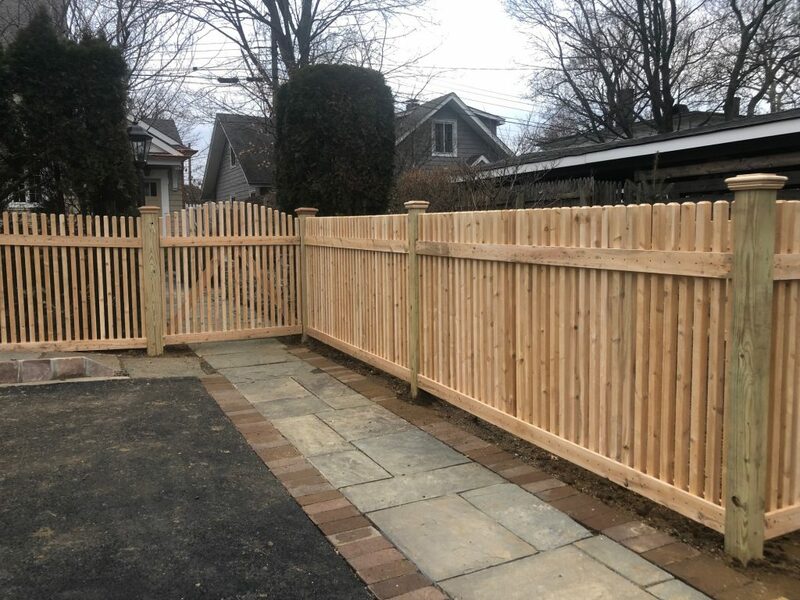 Add A Link Fence worked closely with the client to design this fence to offer privacy along the side and a welcoming entrance at the driveway. 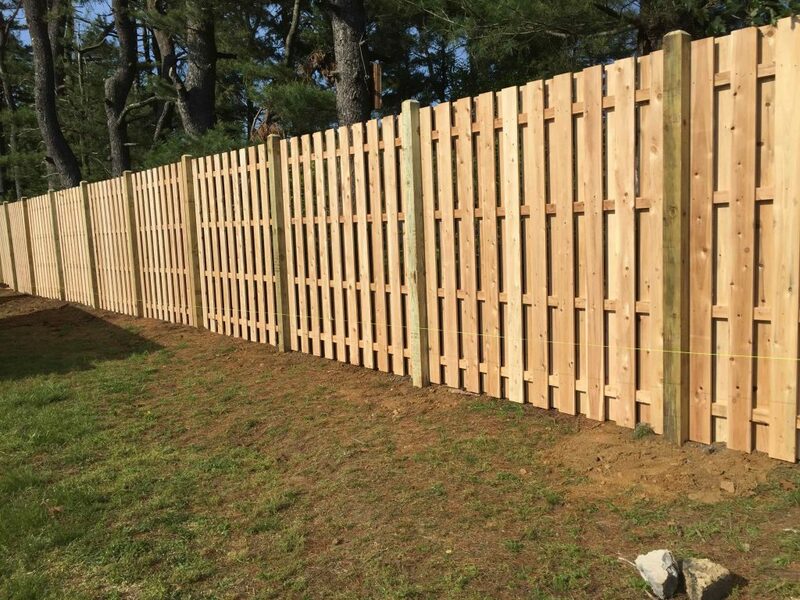 The posts are heavy duty PVC with New England Post caps. 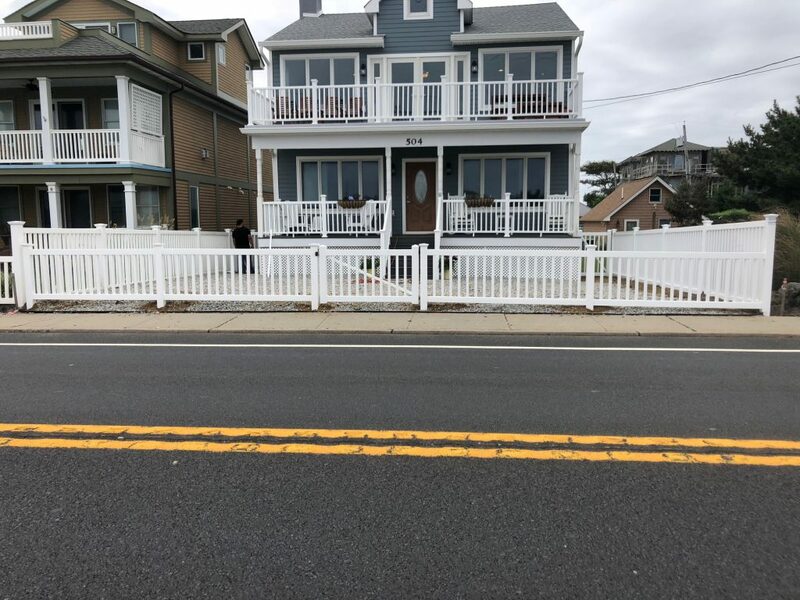 Pictured above is a Jerith Ovation Aluminum Fence that was installed recently in Monmouth Beach, New Jersey. 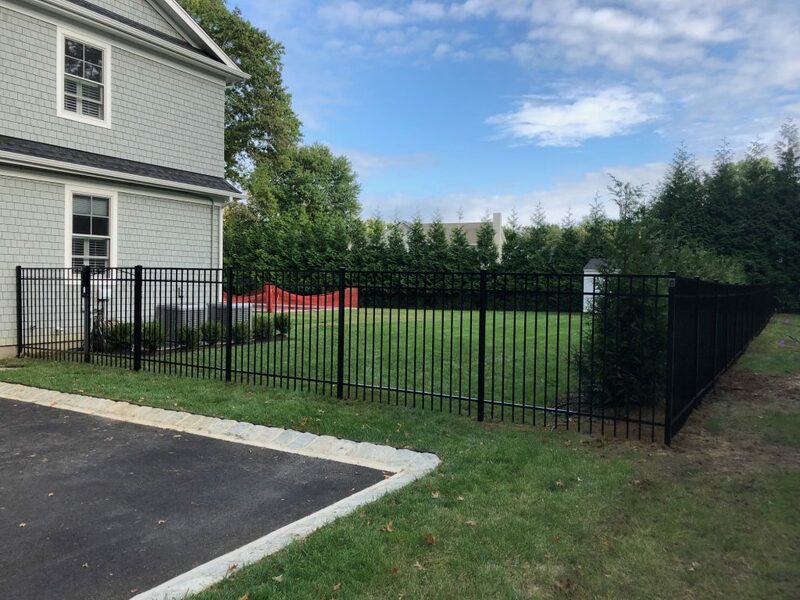 This aluminum fence is a perfect addition to the property around this newly built house. 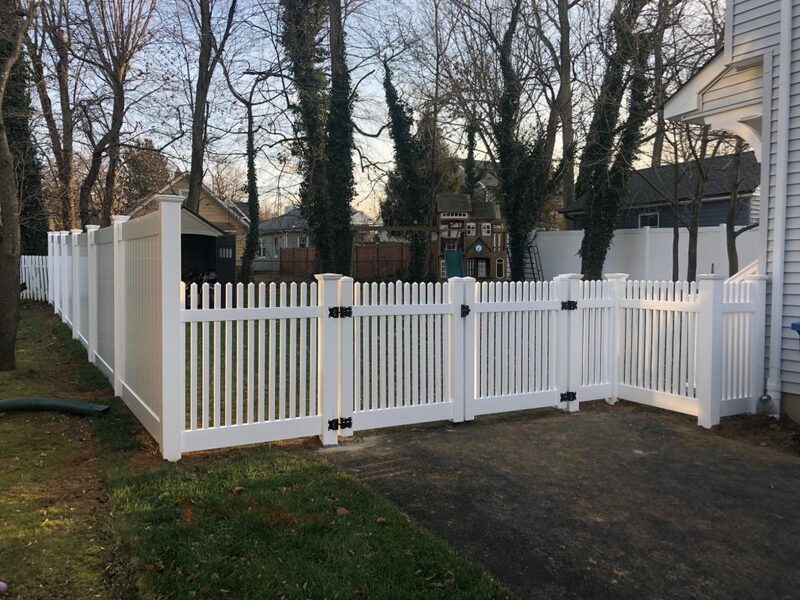 Jerith Ovation Aluminum Fencing is 100% pool-code compliant and is made from commercial grade aluminum.